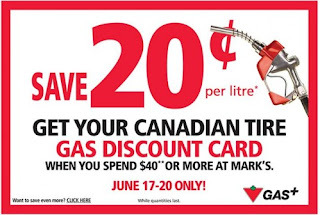 From June 17-20 Spend $40 or more at Mark's Work Warehouse and receive .20 cents off per litre up to 60 litres and I believe it is a one time card. Sorry this is a couple days late but better late then never right? 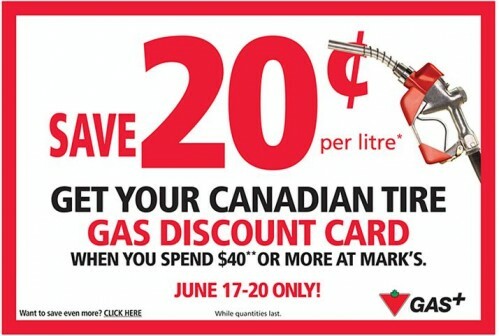 Buy dad some nice new clothes and also save him money on gas in on stop! Enjoy, I know DH has been looking for new work boots.